You can read all the latest Metal Gear Online details in our previous story. However, there is one tidbit that deserved its own story and unfortunately it’s not something that can be classified as good news. If you join a party, you will be able to join the same match as the party members. You can access the Party Menu from the Freeplay environment. This is quite mind-boggling, given how simple it is to add such a feature in games nowadays; almost every single title has it and Konami is using it on PlayStation 4 and Xbox One, but not PC. What kind of obstacle are they encountering, really? It’s a mystery. Metal Gear Online PC fans already had to deal with a significant delay. In fact, service is going to start in a couple of weeks for PlayStation 4 and Xbox One users, while PC gamers have to wait until January 2016. 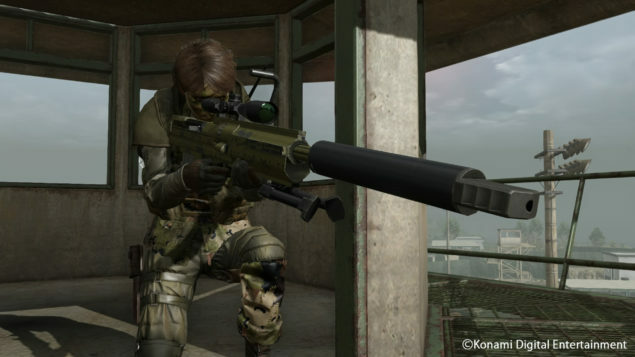 At this point, we can only hope that a significant user feedback would push the developers to reconsider the decision to cut the party feature from Metal Gear Online PC. With three additional months, they should have plenty of time to add it before the launch on Steam; otherwise, you may not even be able to play with your friends! The best way to contact the studio is via the official Twitter account, where they often respond to fans. Let your voice be heard!